Brilliantly evoking the long-vanished world of masters and servants, Margaret Powell's classic memoir of her time in service is the remarkable true story of an indomitable woman who, though she served in the great houses of England, never stopped aiming high. Brilliantly evoking the long-vanished world of masters and servants portrayed in Downton Abbey and Upstairs, Downstairs, Margaret Powell's classic memoir of her time in service, Below Stairs, is the remarkable true story of an indomitable woman who, though she served in the great houses of England, never stopped aiming high. Powell first arrived at the servants' entrance of one of those great houses in the 1920s. As a kitchen maid - the lowest of the low - she entered an entirely new world; one of stoves to be blacked, vegetables to be scrubbed, mistresses to be appeased, and bootlaces to be ironed. Work started at 5:30am and went on until after dark. It was a far cry from her childhood on the beaches of Hove, where money and food were scarce, but warmth and laughter never were. Yet from the gentleman with a penchant for stroking the housemaids' curlers, to raucous tea-dances with errand boys, to the heartbreaking story of Agnes the pregnant under-parlormaid, fired for being seduced by her mistress's nephew, Margaret's tales of her time in service are told with wit, warmth, and a sharp eye for the prejudices of her situation. Margaret Powell's true story of a life spent in service is a fascinating "downstairs" portrait of the glittering, long-gone worlds behind the closed doors of Downton Abbey and 165 Eaton Place. I was born in 1907 in Hove, the second child of a family of seven. My earliest recollection is that other children seemed to be better off than we were. But our parents cared so much for us. One particular thing that I always remember was that every Sunday morning my father used to bring us a comic and a bag of sweets. You used to be able to get a comic for a halfpenny plain and a penny coloured. Sometimes now when I look back at it, I wonder how he managed to do it when he was out of work and there was no money at all coming in. Margaret Powell was thirteen when she entered service. How old were you when you had your first job? What was your first employee/employer relationship like? Are thirteen-year-old girls today much different than those of Margaret's era? If so, how? If you had a daughter, would you let her go off and live in the house of an employer at that age? Why? Why not? What would your life be like if you were a servant in a grand house? How would your privacy be affected? What would your life be like if you had to live it under the gaze of servants who lived in the same house with you? Would it affect your privacy? Would you trust them? Oh sure, the life of a kitchen-maid was all about drudgery and humiliation, but Margaret Powell lets you know right away that there is more to her character than beaten-down servitude... Powell's feistiness does more than simply enliven her account of life in domestic service during the interwar period in England. It sharpens her observations to a fine point and turns her anecdotes into acute critiques of the class system and its hypocrisies. (Reviewed by Amy Reading). Powell is very good at dramatising those mortifying moments when a servant's lack of autonomy, of self-hood, are brought painfully home to her. Below Stairs is certainly feisty but it hardly expresses a sentimental attachment to the time when domestic service was a primary occupation in the land... Always an avid reader she took her O and A-levels late in life and gained fame as an author. Her memoirs are spirited and heart-warming because of her, not because of her subject. Below Stairs brings to glorious life the toil and turmoil of domestic service in an era of deference and division. Witty, wise and wonderfully cynical, Margaret's story is in a 'class' of its own. An irresistible inside account of life "in service" and a fascinating document of a vanished - if fetishistically longed-for - time and place. In Britain in the early twentieth century, occupational options were few for women. Up until World War I, domestic service constituted the largest single employment for English women, even ahead of factory work. The 1901 census shows that approximately 40.5% of the working adult female population worked in service, to which must be added a significant number of girls, some as young as ten. The profession was wholly unregulated. A typical maid would work 80 hours a week, far more than the 56 hours that a factory worker might put in. 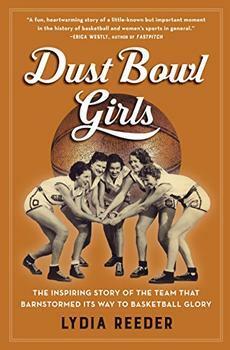 The Boys in the Boat meets A League of Their Own in this true story of a Depression-era championship women's team. 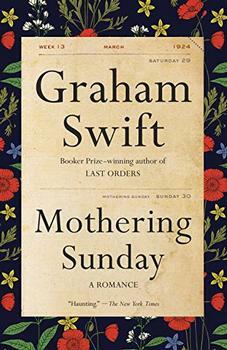 A luminous, intensely moving tale that begins with a secret lovers' assignation in the spring of 1924, then unfolds to reveal the whole of a remarkable life.